Novelty Imports can help when it comes to PTA family event ideas. If you’re looking for fantastic PTA raffle prizes and supplies, we can help with a wide range of products to meet your fundraising for PTA requirements. Every primary school out there has a Parent Teacher Association whose primary role is to ensure that schools are better places for children. The primary school PTA is usually part of the national PTA. These Parent Teacher Associations are critical for an engaged and friendly school environment that supports a healthy school culture. Research shows that students and schools tend to perform much better when both parents and teachers are actively engaged in school activities. Some primary schools with active associations also report a significant rise in attendance and improved discipline. Active PTAs also ensure that learners have improved interactions with their adult role models and teacher workloads are greatly reduced. Parent Teacher Associations also organise various activities such as primary school fundraising for PTA activities to raise money for various school projects. Some PTAs collaborate with school fundraising companies to ensure that they raise enough money to fund projects such as purchasing of sports facilities, computers, facilitating student trips, or funding the construction of new school buildings to accommodate the rising number of learners. However, most PTAs acknowledge the fact that finding good primary school fundraising ideas is quite a challenging task. Sometimes, you may come up with an idea thinking that it will help you raise sufficient funds for a particular project only to be disappointed in the end. 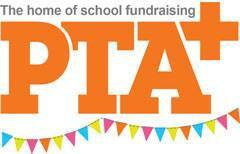 How Do PTAs Raise Money in Primary Schools? A lot of schools have embraced the idea of organising various school activities that bring together learners, parents, teachers, and stakeholders to fundraise for various school projects. Many schools hold carnivals and fetes that usually feature a wide range of stalls and activities. But, such stalls never seem to raise enough money. So, what are you supposed to do to raise sufficient funds for your school projects? You will be surprised to learn that there are more inventive ways to raise school funds than cake stalls and tombolas. Have you been looking for exciting primary school fundraising and PTA family event ideas? Do you want to bring everyone on board and ensure that you raise sufficient funds to move your school forward? 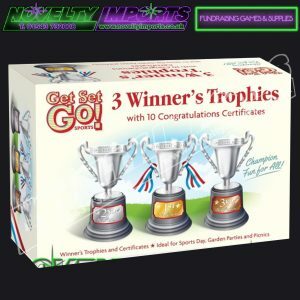 Well, Novelty Imports offers a wide range of products that you can use to fundraise in your school. 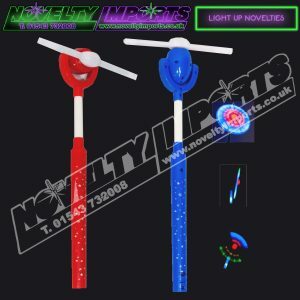 By using products supplied from ourselves, at Novelty Imports, you can raise plenty of money without being too pricey. We are one of the leading school fundraising companies out there. Our collection of products such as our PTA raffle prizes features a wide range of products that both kids and adults can enjoy alike. 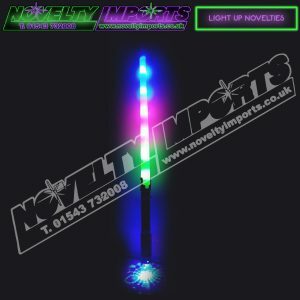 At Novelty Imports, we strive to understand our customer needs and develop unique products that will help you accomplish your task faster. 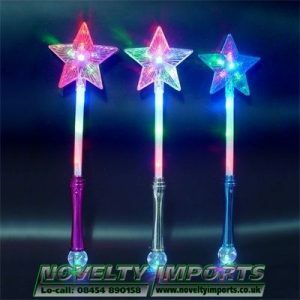 We sell a wide range of flashing toys such as swords, wands, and even boppers which make great primary school fundraising ideas. 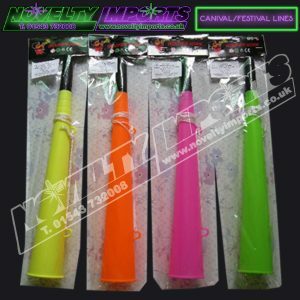 We also stock a wide range of charity toys such as air horns, bells, and whistles. What is even more fascinating is the fact that our PTA supplies are ever changing so you can always pick a different item for every event that you organise. If you aren’t sure of what you need, visit our showroom, and we shall be glad to help you. With our help and guidance, you can always be that PTA-fundraiser with exciting ideas.